Some of the most useful recipes for runners are the ones that help you replace something junky with something healthy. 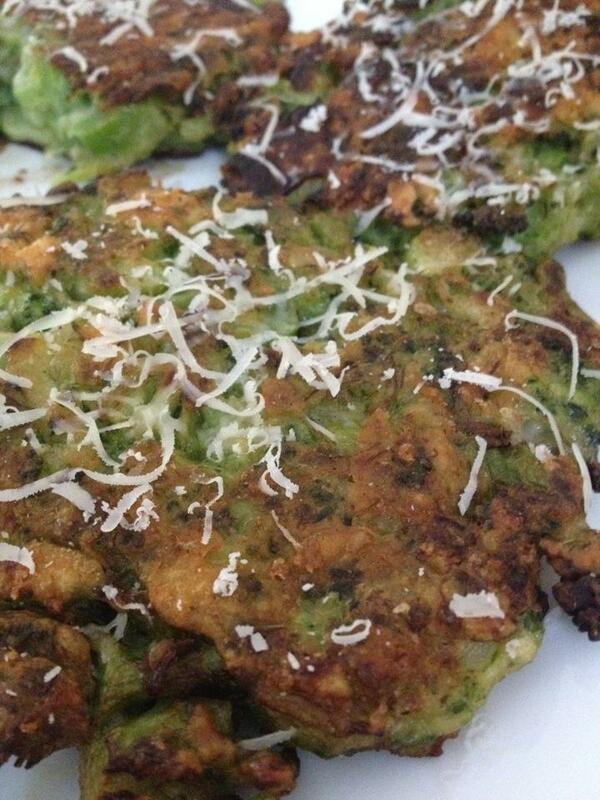 These broccoli fritters are easy to make and are a super-nutritious alternative to everyday munchies like chips, potato skins, or any of those chain-restaurant fried appetizers for which we all get a craving from time to time. This one comes from Smitten Kitchen, a good site to check out for lots of other great ideas, too. Cut your florets into 1-inch chunks and chop stems down to half an inch. Steam broccoli, drain, and let cool. After that, lightly beat the egg and mix flour, cheese, and seasonings. Drop in your broccoli and mash up with a potato masher (just mash a bit…doesn’t need to be smooth). Then heat up the oil until a drop of water will sputter and begin adding tablespoon-sized balls of your batter, pressing into patties as you go. Flip once they’ve browned (usually 2 to 3 minutes) cooking until both sides are nicely done. Remove fritters once done and let drain on a paper towel. Enjoy!